If you would like to pursue this grant let’s talk about your digital media project. Gecko Group can help you develop a work-plan to meet the requirements of the NEH grant application. 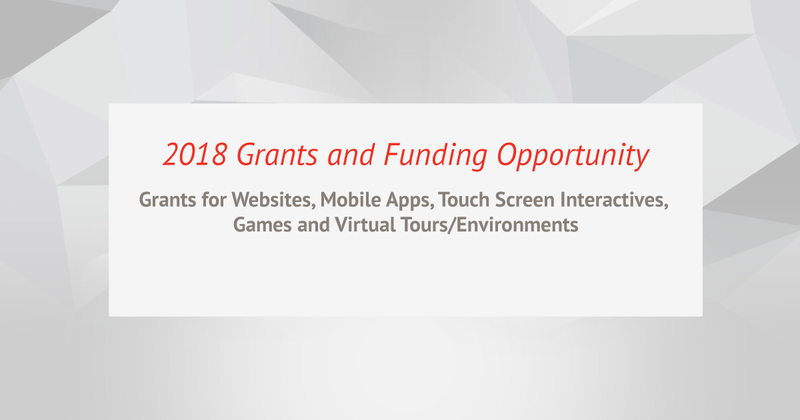 This grant is for the development of websites, mobile applications, virtual tours, interactive touch screen kiosks, games, and virtual environments. The grant is geared towards developing an exclusively digital component of a larger project, such as an exhibit. In the last five competitions, the Media Projects: Development Grants program received an average of 42 applications. The program made an average of three grants per competition, for a funding ratio of 7 percent. The number of applications to an NEH grant program can vary widely from competition to competition, as can the funding ratio. Information about the average number of applications and awards in recent competitions is meant only to provide historical context for the current competition. Information on the number of applications and awards in individual competitions is available from publicpgms@neh.gov.